A staggering amount of lineage is devoted to the golf swing. From the technical to the physical, there are thousands of potential solutions or passing fads to examine. One thing that doesn’t change is the human body, however. 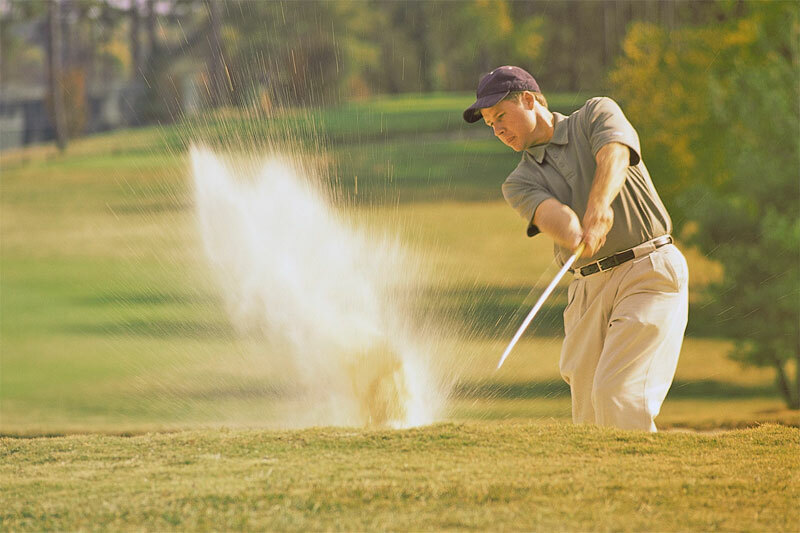 We all share a large number of fundamental components, and there are certain movements which will appear to varying degrees in any reasonable golf swing. Similarly, there are certain blocks that will always be implicated in swing faults. What is astonishing is that even at very high levels, these very simple things are ignored or passed by in favour of trendier possibilities. What is even more fascinating is how often these simple blocks appear, and how easily they can be addressed. 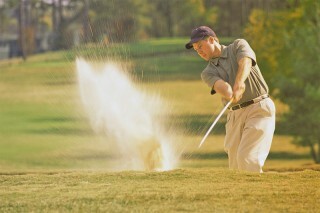 It comes as no surprise that pelvic rotation is involved in the golf swing. What does surprise people is that the rotation action used in the back swing is not the same action as is needed in the swing through. Stand with your feet facing forward and your club across the front of your hips. Smoothly transition your weight onto your left leg, turning the pelvis as you go. This will be the current potential finish position for your pelvis at the end of your swing. Notice that the body position is upright over the hips, and the pelvis is almost 90 degrees to the angle of your left foot. Is this your position? You may find that your foot has shifted to point forward, or that your spine has collapsed into a deep curve. Both of these things occur if you don’t have enough hip mobility to allow the pelvis to turn fully. So if you have back pain or pain on the outside of your ankle when you swing for example, the issue may actually be your hip. (Thanks to Nigel Edwards, former Walker Cup winner and Director of Performance for the Golfing Union of Wales, for modelling in these shots, taken at Celtic Manor Resort). More JEMS for Golf is on the way. For further tips and inspiration on moving beautifully, check out our video page. I became more powerful and consistent, developing the stability to control movements more easily and develop more speed throughout the golf swing.